After weeks of planning and designing, the kitchen remodel (and when I say kitchen, I mean kitchen and family room) is finally underway. 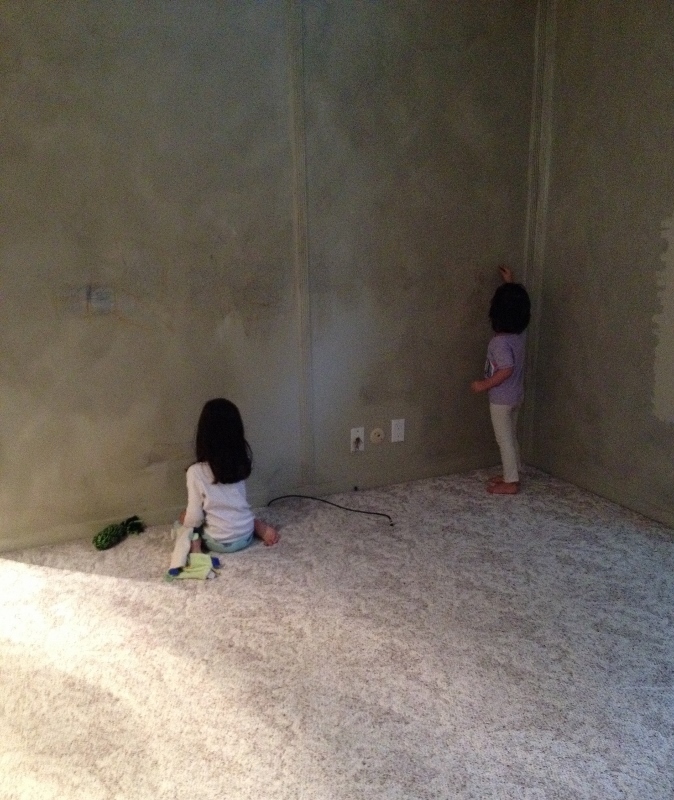 The day before demolition, we let the girls draw on the walls (I had already defaced them with my paint samples), which they were super excited about. Of course I had to join in with my own drawing. It was really fun. It’s hard to see the crayon in the photo, but they colored quite a bit! 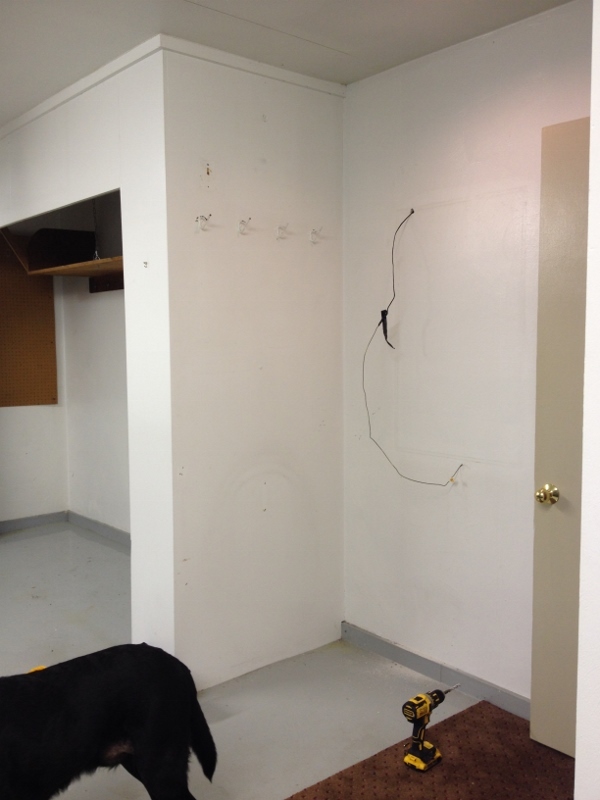 That afternoon (a Sunday), my husband also re-wired the thermostat in the garage, as it was located in the closet that was going to get torn down. 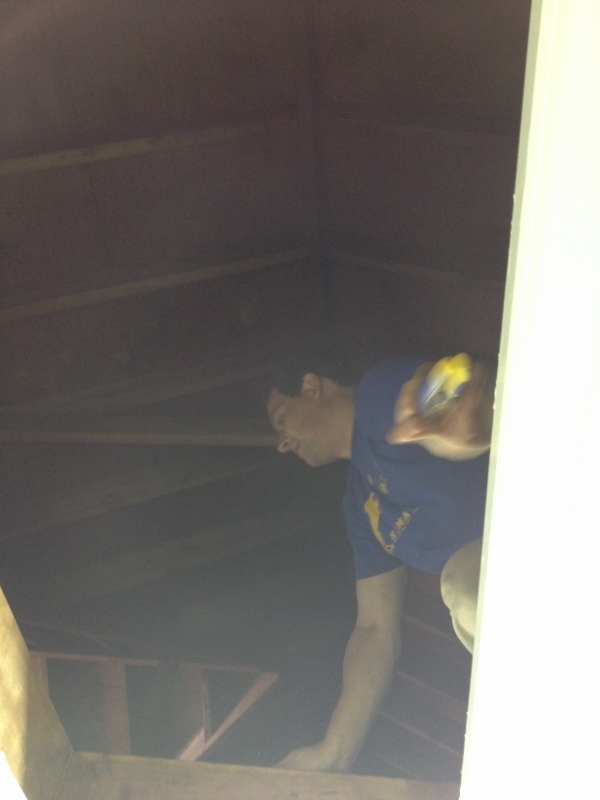 He crawled up into the roof and did whatever one has to do to re-wire these things (I’m so glad I married a handy man because I am extremely unhandy). As he was walking around up there, he punctured his head with a nail (“Hey, remember when I went to the doctor and she gave me a tetanus shot?” he yells down). New thermostat location where wire is coming out of the wall. And a drill. So a drill was involved. 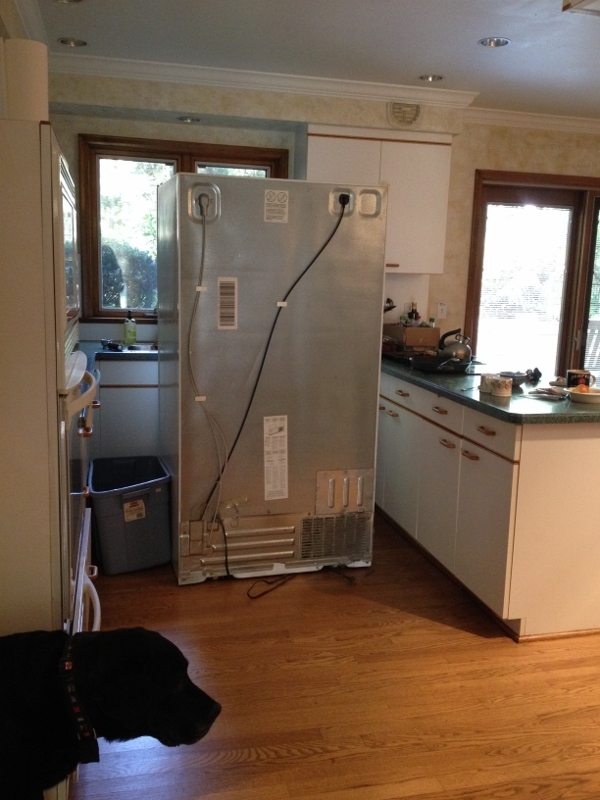 We also had to move the fridge in order to get the couch down to the basement. Which meant disconnecting the water line. Or something. Not to mention move everything out of the kitchen cabinets and pantry closet (I am so done moving!!). 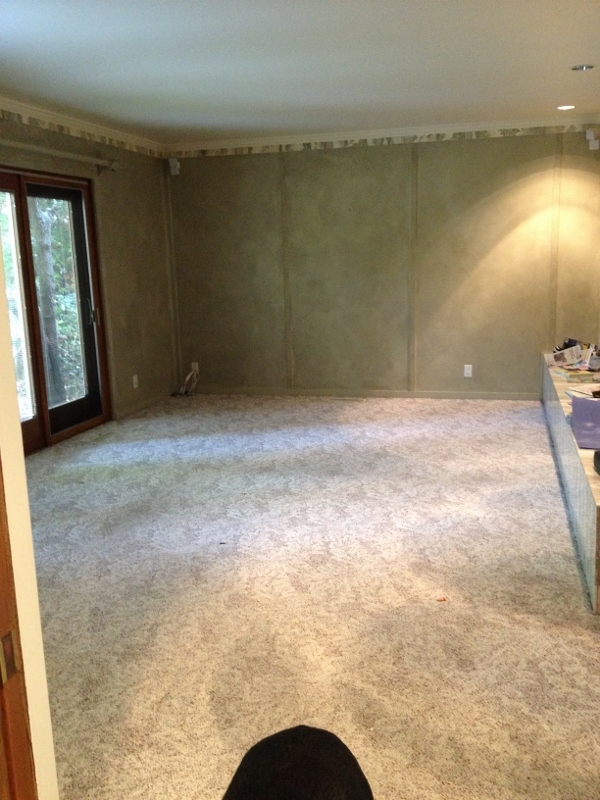 One last shot of the family room before the demo. And Sam, once again, getting in the shot. 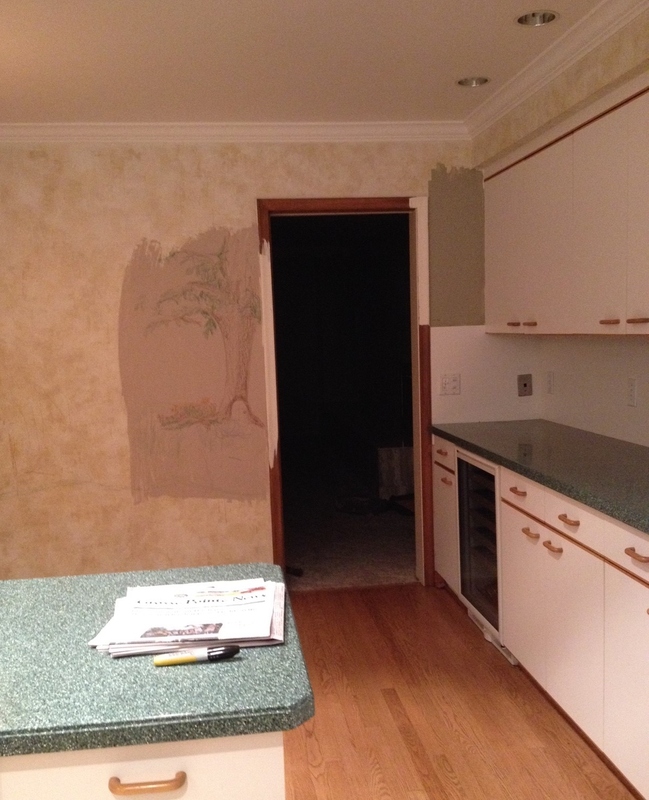 This entry was posted in Kitchen Remodel and tagged Demolition, Home Improvement, Home Renovation, Kitchen Remodel, Remodel. Bookmark the permalink.